“Give a month at least to this precious reserve,” said John Muir when he was trying to tell America how essential Glacier was. A month? Who has a month anymore? Our holidays are speed dates, quick hook-ups with the 1,000 places you need to see before you die. 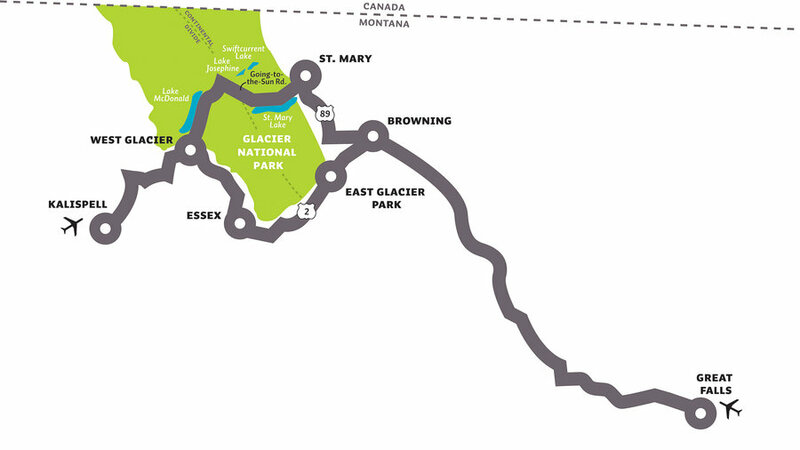 But I learned within an hour that Glacier National Park isn’t a place to rush through. When this 100-year-old talks—with its century’s worth of experiences—you slow down. Even if you fight it … at first. Like I did. But around every gauzy, unreal mountain lies an opportunity that might just change your life. Montana’s secret is that it’s a foreign country. Or, more accurately, I feel like I am visiting from a foreign country. 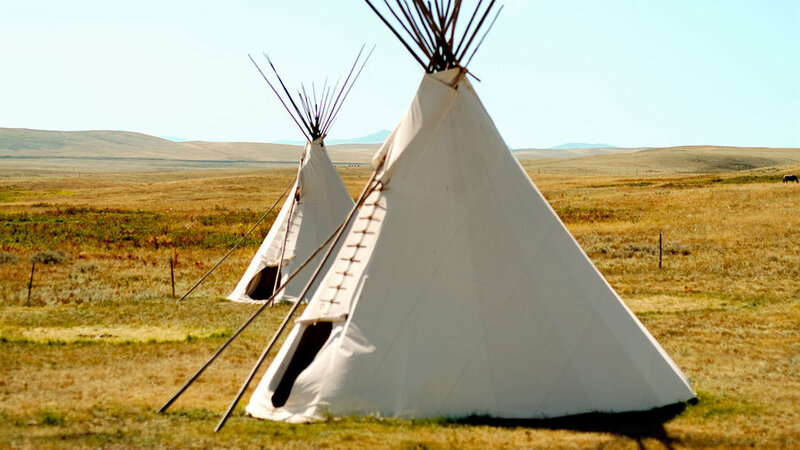 The state’s original landlords were, after all, the Blackfeet Nation. Today Browning is their capital. Here I get a latte from the tipi-style Big Lodge Espresso. And bunk down in a comfy tipi with fitted sheets at Darrell and Angelika Norman’s Lodgepole Gallery and Tipi Village. Here I realize it’s best to forget what I know, casting off my familiar surroundings. Darrell’s a Blackfeet. Angelika, who is German, arrived as a visitor. 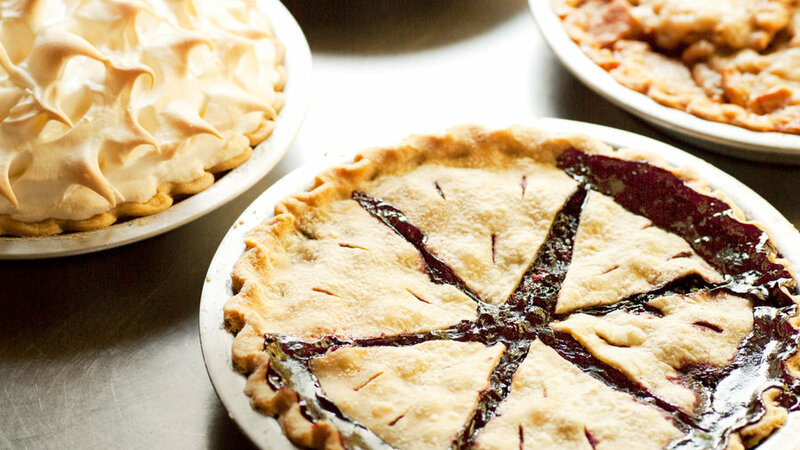 There is no summer vacation without pie. In Montana, in summer, the pie of choice is huckleberry, because huckleberries cover the state and in fact are exactly like Montana, being sweetly, extravagantly wild. With the pie comes local color: three residents one booth over commenting on the weekly paper’s account of a local man trampled by his pet moose. And people need pie. Life needs pie. Pie is life, in pie form. 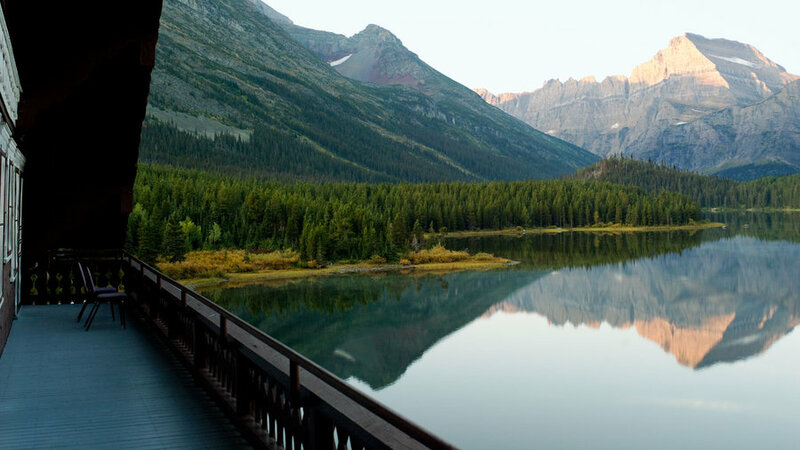 The 50-mile east-west road across the park is the preferred introduction to Glacier, the one park experience everyone must have. That doesn’t mean driving up the Rockies and then down is a piece of cake. 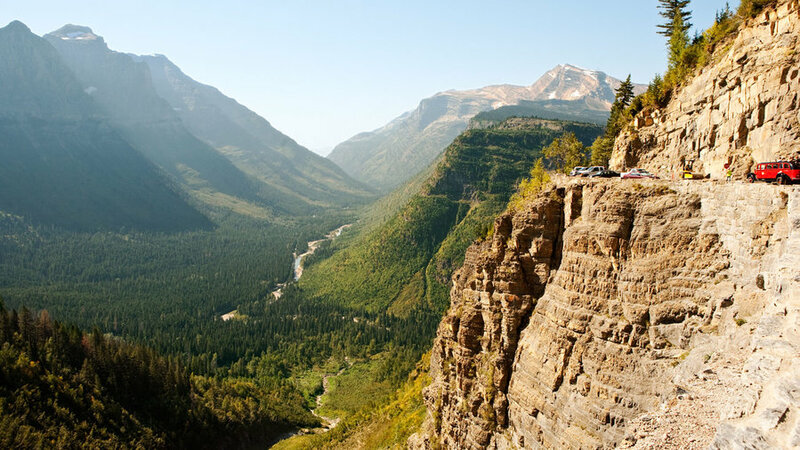 The park service FAQ I read is straightforward: How scary and creepy is it to drive Going-to-the-Sun Road? Not creepy, I think, trying not to peer over the road’s edge—but scary, yeah. This two-lane road was cut from the mountains by imported Russian stonemasons, by engineers dangling over 1,000-foot cliffs. How did they do it? Why am I driving it? Then, after the third switchback, I begin to forget to be afraid. On a slope, something regally horned: a bighorn sheep. Below, the entire North American continent. 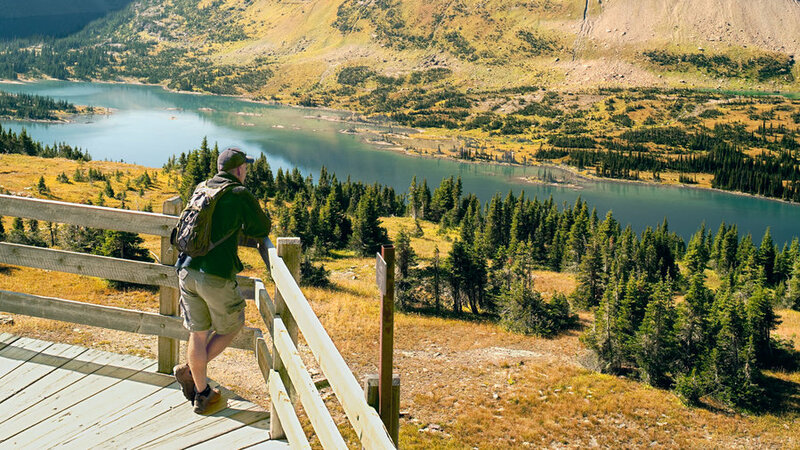 At the top of Going-to-the-Sun, on the Continental Divide, I stand on the mountains the Blackfeet called “the backbone of the world.” The trail runs north along that backbone, toward the park’s highest peaks and the glaciers. 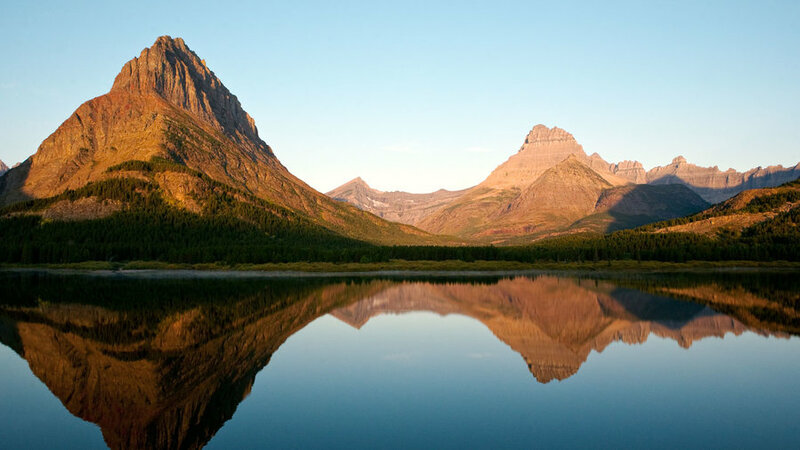 For all its wildness, its 9,000-foot peaks and grizzly bears, Glacier is the most decorous of parks. Its hotels are Edwardian fantasies of life in the wild. Graceful boats like Chief Two Guns and Morning Eagle have been plying its glacial lakes for nearly 70 years. Step aboard and you feel your day pack should be filled with tea sandwiches instead of Clif Bars. I look down to the water and find myself recalling every synonym for blue I’ve ever known: azure, cobalt, indigo, sky. All of them here. 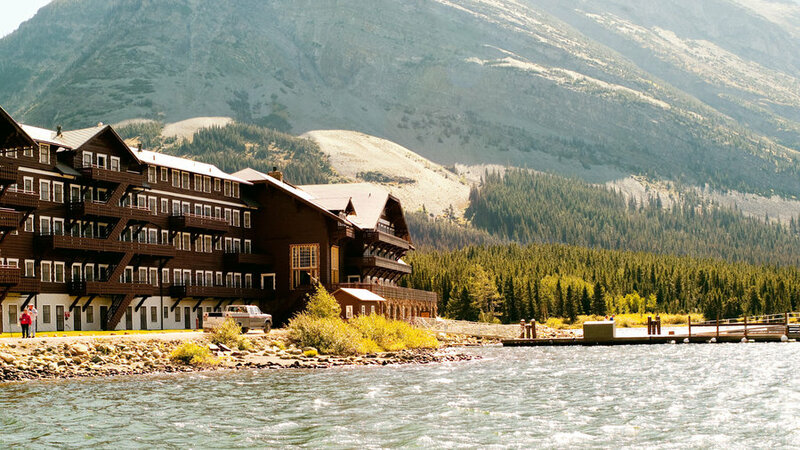 Many Glacier, the 95-year-old log hotel on the south shore of Swiftcurrent Lake, is, it turns out, the most romantic place on Earth. Behind her, on the deck overlooking the lake, something is happening. A woman sits in one of the Adirondack chairs. A man kneels beside her. He opens a small, elegant box. “He’s proposing,” someone says. This is true. He offers a ring, the woman takes it, she is smiling and crying. They kiss. Now the man notices his audience. He stands up, he bows. Everyone applauds. Maybe at Glacier, love, like fir logs, is meant to endure. On my last day in the park, I hike in search of glaciers. At the start, I have ice on my mind. But I get distracted by everything that comes before it. The way the sun warms the mountainsides. The dazzle of wildflowers—purple asters, glacier lilies, paintbrush. I snap photos, knowing that when I show them to friends, they’ll still say it’s too beautiful to be true. They will, in fact, say that of every photo I’ve taken here. So insist: It’s really like this. Insist that when they visit Glacier, it should be for a month. 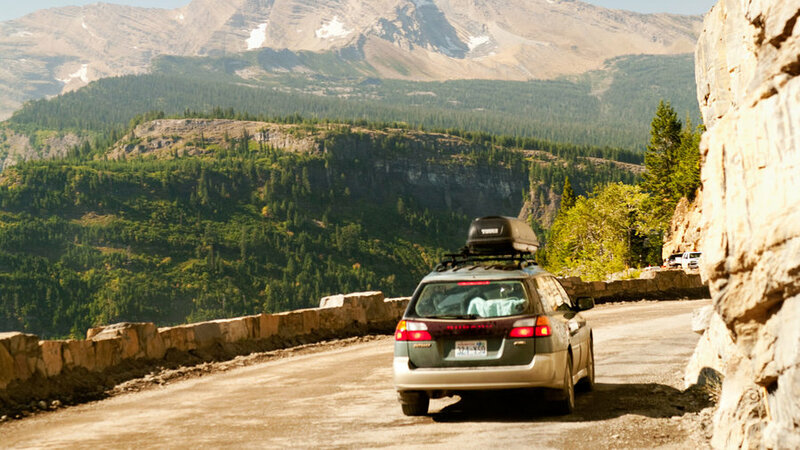 Get more helpful trip-planning information on where to stay, eat, and play for a mind-blowing good time on the West’s most beautiful road.